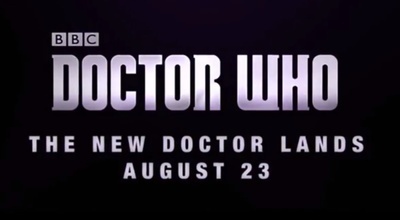 Will you be watching the Doctor Who premiere on August 23rd? Are you looking forward to the next season of Doctor Who? The trailer is pretty naff to be honest, and I don't think it would encourage anyone who wasn't already planning to see the show to go and watch it. Although I don't watch Doctor Who, I do like the mythos and pop culture behind it. I think Capaldi was a good choice; its nice to see an older doctor again. Yeah, it's kind of a sad little thing, isn't it? I don't think it was meant to draw in new views, just to give Doctor Who addicts a little tease. I had watched a few episodes a couple of years ago, and it was cute...that's about the best I can say regarding Doctor Who. I have a lot of friends who are complete Whovians but I've never dug into the series. At least, not yet. Sleep Hollow, have you seen it? Would you watch a documentary about your favorite childhood movie character?